Xiaomi Mi A1 is one of the best Android smartphones, Xiaomi Mi A1 Android smartphone was launched in 2017. The phone comes with a 5.50-inch touchscreen display with a resolution of 1080 pixels by 1920 pixels. The Xiaomi Mi A1 is a dual SIM (GSM and GSM) smartphone that accepts Nano-SIM and Nano-SIM. Connectivity options include Wi-Fi, GPS, Bluetooth, Infrared, USB OTG, 3G, and 4G. Xiaomi Mi A1 is powered by 2GHz octa-core Qualcomm Snapdragon 625 processor with 4GB of RAM & 64GB of internal storage that can be expanded up to 128GB via a microSD card. As far as the cameras are concerned, the Xiaomi Mi A1 comes with a 12-megapixel primary camera on the rear and a 5-megapixel front-facing camera. it has a great camera quality, though it does not have Camera 2 API and EIS Auto enabled. What is the camera 2 API & EIS? EIS is also known as electronic image stabilization. This allows users to get better shots in less effort. The API is also known as Application Programming Interface. The API is originally used by third party developers to take advantage of every piece of software. By launching the Android 5.0 Lollipop OS, Google played a major role in upgrading APIs. an XDA member worked hard and found a way to enable Camera2API and EIS on Xiaomi Mi A1 without Root. This is Guide is only for the Xiaomi Mi A1 model only; if tried on other devices, it might get bricked [To check your device model: Go to Settings >> About phone >> model number]. Make sure the device has more than 70 % battery. ‎You must have enabled OEM Unlock & USB Debugging on your device’s Settings> Developer Options. Once your developer option is active, Go back to your settings >> Open developer option >> Enable USB Debugging. Your PC must have ADB & fastboot installed and configured. Copy and Paste Downloaded recovery.img file to the folder where you installed the adb (rename the downloaded file name to recovery.img ). 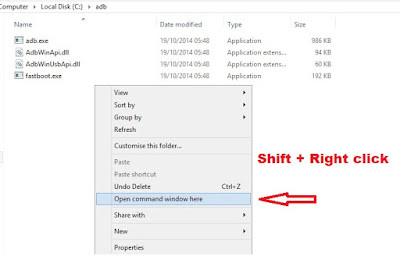 Now connect your device to your PC and goto ADB & Fastboot folder and press and hold Shift + Right click on white space and “Open command window here”. 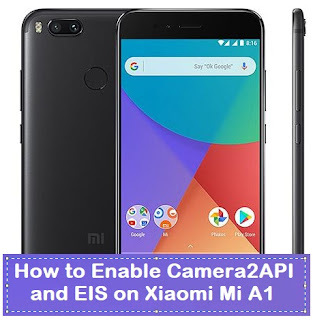 So, that was the complete step by step guide on How to enabled EIS and Camera2API on Xiaomi Mi A1. If you have any questions, then comment below.